Ph. on the NE flank of Mount Livermore in pinyon-oak woodland at about 7800 ft. elevation. Although Knudson & Bordelon (2010 ed.) state that the somewhat similar Sabulodes dissimilis is "a common species in late spring in higher west Texas mountains", the present moth better matches the MPG images of S. sericeata. 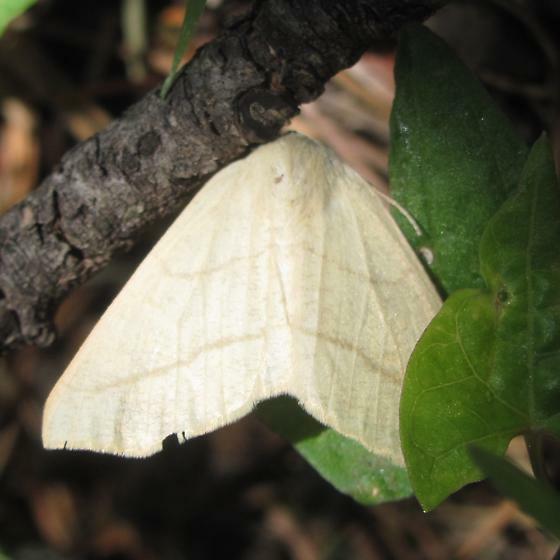 Both S. dissimilis and S. sericeata have been recorded in Jeff Davis Co., TX. It's hard to rule out dissimilis and many of the BOLD specimens of both species seem to be missing the lines, entirely. We may want to put these into a species complex, at some point.